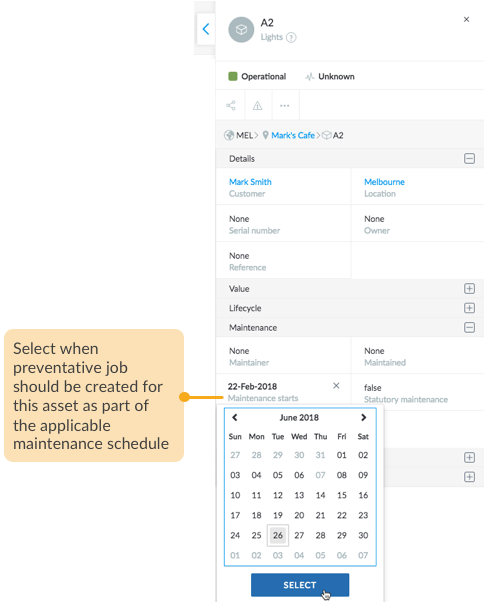 The Maintenance Starts date is very useful in scenarios when assets of a particular asset type, requires the applicable maintenance schedule to on different dates, rather than having the maintenance schedule start at the same time, which is the location date as was set on the Maintenance page. By default, the maintenance start date of an asset is when the asset was created. So, if a maintenance schedule is already running for an asset type, preventative jobs will be automatically created for its assets right from their creation date. 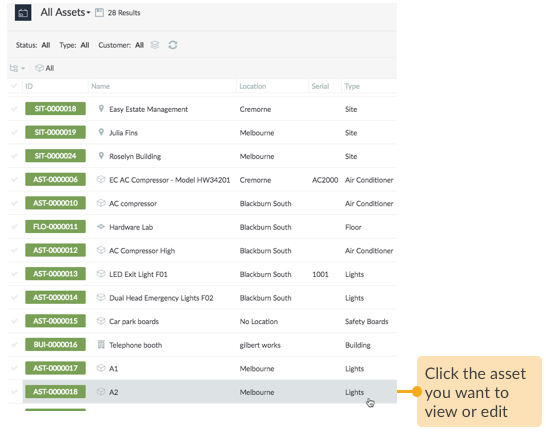 To begin with, select an asset or a site in either the List or Map view. In the asset inspector, expand the Maintenance category. To know more about scheduling preventative jobs for assets, read Set up Maintenance Plan.